Finley’s life has been tough but shooting hoops with his girlfriend and playing point guard on the school team keeps him going. When Coach asks him to befriend a newcomer in the off-season everything turns on its head. This newbie happens to be the hottest junior point guard in the country when he’s on-song. 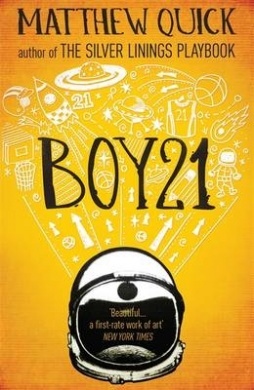 However, since his parents were murdered, Boy 21 has wanted the world to believe he is from outer space. Finley is caught at every turn between wanting to help Boy 21 and protecting his own position as the school’s point guard. Neither Finley nor Boy 21 realises they are riding the same wave of grief and loss. Can they help each other make it to shore? If you loved The Fault in our Stars, you’ll absolutely love this heartfelt tale of two guys, the people they care about, basketball and outer space.